A German town's summer fair turned violent over the weekend, with multiple sexual assaults reported. A group of youths also attacked visitors and officers, with police stating that many of the offenders were migrants. 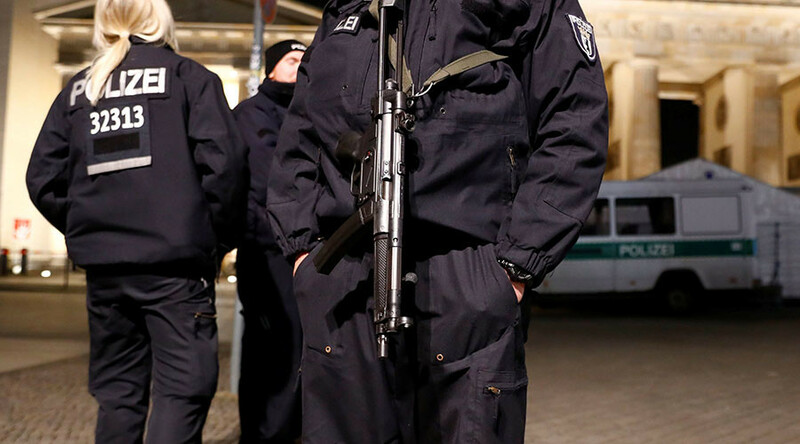 The violence occurred while residents of Schorndorf in the southern German state of Baden-Wuerttemberg celebrated the town's weeklong fair, referred to as Volksfest (People's Festival). However, while many were enjoying carnival rides and German beer on Friday – the first day of the fair – at least three sexual assaults occurred in the town, resulting in the detention of an Iraqi suspect. “On Friday evening, police reported three incidents of sexual harassment of women and men at the market place. In one case an Iraqi suspect has been determined,” a police statement said. A 17-year-old girl was the victim of a separate sexual assault on Saturday, after three men held her and “grabbed her buttocks” outside the town's main rail station. Three Afghan asylum seekers were identified as suspects, according to police. Meanwhile, around 1,000 youths and young men gathered at the grounds of Schorndorf Castle on Saturday, throwing bottles at festival-goers and police. “The violence faced by police was shocking,” a police spokesperson said, as quoted by German media. When police began arresting one person on suspicion of causing serious bodily harm, others within the group “showed solidarity” with the man and intensified their assault against officers, according to law enforcement officials. Police then called for backup, prompting more officers to arrive at the scene in riot gear, "to shield the arrest and to prevent an attack." Authorities also called in support from nearby towns, to prepare for what they referred to as "massive potential for violence." Groups of between 30 and 50 young men were later seen acting aggressively throughout the town on Saturday, with eyewitnesses, cited by police, stating that some were armed with knives. One man reportedly had a blank-firing gun. Police also reported damage to two of their vehicles, which were sprayed with graffiti. In addition, an emergency services vehicle was "damaged by a bottle shot, and license plates were removed and stolen on six vehicles," the police report states. Later, authorities registered numerous complaints filed over serious bodily harm during the violence. 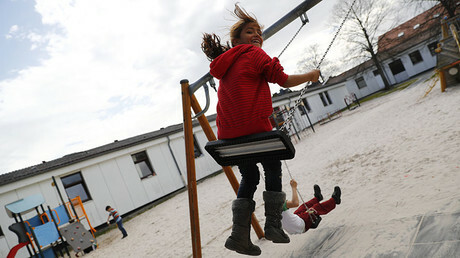 Germany experienced an influx of asylum seekers during the European refugee crisis, with Chancellor Angela Merkel implementing an open-door policy for those fleeing war and persecution. That policy has been condemned by Merkel's critics, who cite a surge in violence associated with refugees, including a string of sexual assaults that took place in Cologne on New Year's Eve in 2015.